Event Description Join us for the 35th Annual Mission Federal ArtWalk, the largest running arts festival in Southern California! 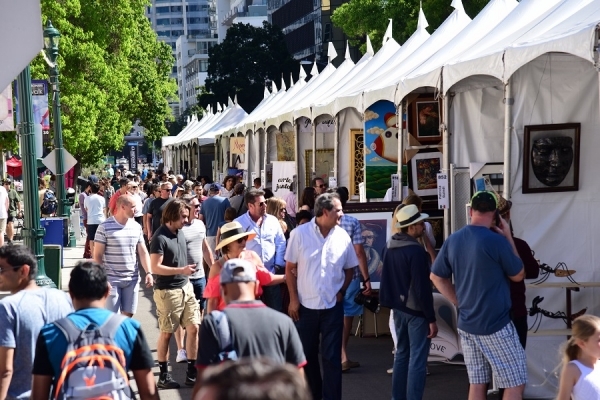 The weekend-long premier arts and culture event brings more than 120,000 locals and visitors to San Diego’s Little Italy—giving attendees an opportunity to meet more than 350 local, national and international artists and purchase art directly from the creators. On Saturday, April 27 and Sunday, April 28 from 11 a.m. to 6 p.m., attendees can explore 16 blocks of every medium of art including painting, sculpture, glass work, photography, fine jewelry and more. After browsing and purchasing one-of-a kind art, attendees can enjoy live music, dance performances, interactive art experiences, street food, family-friendly art projects at KidsWalk and more!